Pair of Lorrkon; Natural earth pigments on carved hardwood hollow logs. Left-hand 195 cm high & Right-hand 245 cm high. Available individually or as a pair. 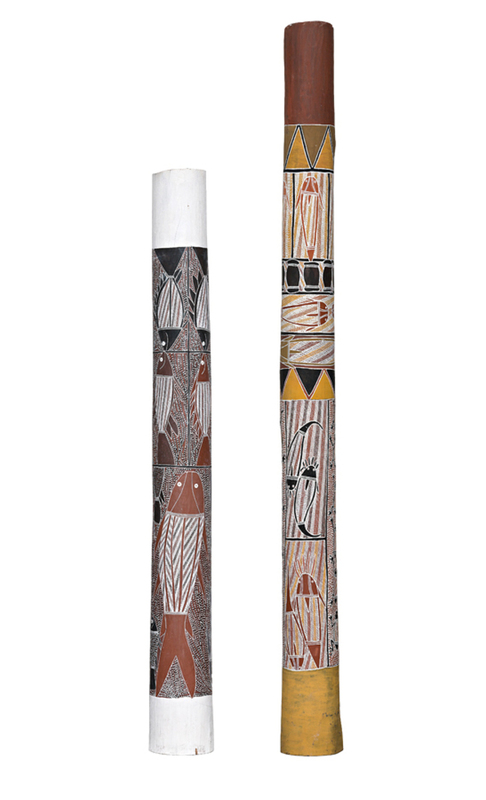 Provence: Maningrida Arts & Culture, Northern Territory; Gallery Gabrielle Pizzi, Melbourne; Private collection, U.S.A.
Each work provided with free standing metal base.